Recorded entirely on vintage analogue recording equipment packed into a disused garage in Leeds, the LP features the vocal talents of Gospel-inspired Soul singer Rachel Modest. 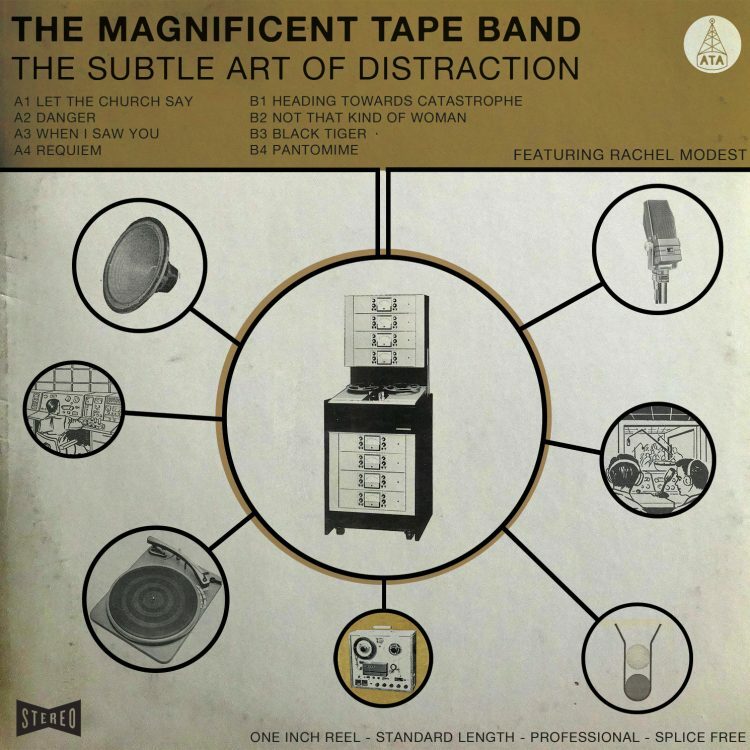 Taken from The Magnificent Tape Band‘s forthcoming debut LP “The Subtle Art Of Distraction”, ‘Danger’ is a heavy slice of Soul that is held down by an ominous groove with tuff hooks and a powerful vocal performance from Rachel Modest. The Magnificent Tape Band are the alter egos of ATA Records founders Neil Innes & Pete Williams, who were the creative driving force behind the debut album by The Sorcerers, for which they wrote and produced all the tracks as well as contributing bass and guitar performances. Sheffield born, Rachel Modest developed her unique vocal ability within the churches and gospel choirs of her local community. Now based in Leeds, she has developed a powerful and soulful vocal style that takes inspiration from artists such as Madeleine Bell, Dee Dee Warwick, Dusty Springfield and at times delivers a performance that resembles the falsetto of The Delfonics’ William Hart. Taking inspiration from the more abstract end of the Soul spectrum that has been a richly tapped vein for Hip-Hop producers, The Magnificent Tape Band aim to create an evocative tapestry of sound that pulls together Psychedelic Soul with British Library Music to create a distinctly dramatic sounding record. Recorded on original ’60s equipment, using vintage instruments, “The Subtle Art Of Distraction” immediately brings to mind the more experimental Psychedelic Soul records of the late ’60s and early ’70s by incorporating a driving clavinet, loping drums, swirling organ, and vintage Mellotron alongside Rachel Modest’s ethereal and powerful vocals. The record is definitely one to watch out for if you’re a fan of the Big Crown Records catalogue, The Sorcerers, Mulatu Astatke, or any form of Soul-inspired Hip-Hop.